The Jews gave us the Outside and the Inside – our outlook and our inner life. We can hardly get up in the morning or cross the street without being Jewish. We dream Jewish dreams and hope Jewish hopes. Most of our best words, in fact – new, adventure, surprise; unique, individual, person, vocation; time, history, future; freedom, progress, spirit; faith, hope, justice – are the gifts of the Jews. 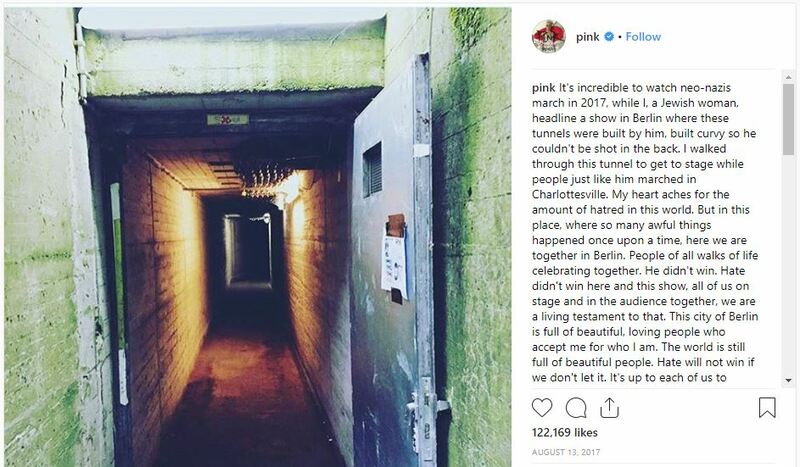 Pink posted this to her Instagram page after a show in Berlin in 2017, right around the time of the Neo-Nazi march in Charlottesville. 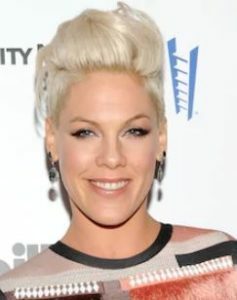 This entry was posted in Arts & Entertainment and tagged American Jews, Billboard, Grammy Award, Is Pink Jewish, Jewish Musicians, Lady Marmalade, Music, P!nk, Pennsylvania, Pop, R&B, Social Activism on October 17, 2018 by Jew of the Week. 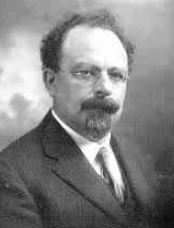 Abraham Tzvi Idelsohn (1882-1938) was born in Latvia to a religious Jewish family. He studied to be a synagogue cantor. At 27, he made aliyah to Israel and worked as a musician and composer. In 1919, he opened a Jewish music school. A few years later, he left for Ohio where he served as professor of Jewish music at Hebrew Union College, the major seminary of Reform Judaism. Between 1914 and 1932 he published his ten-volume magnum opus, Thesaurus of Hebrew Oriental Melodies. Many consider him “the father of Jewish musicology”. His most famous melody is undoubtedly ‘Hava Nagila’. In December of 1917, British army general Edmund Allenby defeated the Ottomans and conquered the Holy Land for Great Britain. The Jews of Israel were elated, and celebrated the general’s arrival in Jerusalem. They asked Idelsohn to compose a song for the special occasion. Idelsohn remembered an old happy tune he had adapted from a Hasidic niggun. The song was a hit. A few years later, he asked his music class to write words for the song. A young Moshe Nathanson (1899-1981) was in that class, and wrote a couple of simple lines based on Scriptural verses from Psalm 118. The rest is history. Nathanson was born in Jerusalem, the son of a rabbi. In 1922 he moved to Canada and double-majored in law and music at McGill University. He ended up studying at what is now the prestigious Julliard School of Music in New York. From there, he was hired to be the cantor of the first Reconstructionist Synagogue, and served in that role for the next 48 years. He wrote an important four-volume tome of liturgical songs. Nathanson also spent 10 years broadcasting Jewish music on American airwaves (“Voice of Jerusalem”) and dedicated much of his life to promoting Jewish folk music. Today, Nathanson’s and Idelsohn’s ‘Hava Nagila’ is the most recognizable Jewish/Hebrew song in the world, and a staple of every bar mitzvah and wedding. There is even a full-length documentary about it, called Hava Nagila (The Movie). This past year marked the song’s centennial anniversary. One who cannot survive bad times cannot see good times. 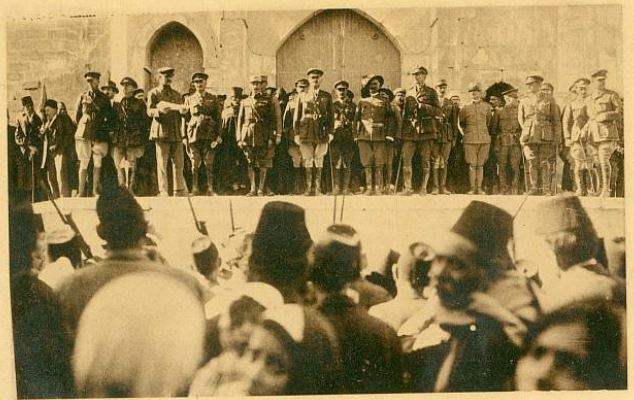 General Allenby’s December 1917 proclamation to the people of Jerusalem. This entry was posted in Arts & Entertainment and tagged Aliyah, Edmund Allenby, Hasidic, Hava Nagila, Hebrew Union College, Israel, Jerusalem, Jewish Musicians, Julliard School of Music, Latvian Jews, McGill University, Music, Niggun, Psalms, Reconstructionist Judaism on September 13, 2018 by Jew of the Week.